Joon Kim was born 1983 in Seoul, Korea. He started playing the piano at the age of 6. He attended ‘Seoul Arts High School’ as a preparation for his studies at the ‘Korean National University of Arts’, class of professor. Dae jin Kim. He won several competitions, e.g. the ‘Chosun Music Competition’ in 1995, the Pusan Music competition in 1999, the competition of the ‘Music Association of Korea’ in 2001 and the Dong-A music competition in 2002. Since 2003 he studied at the Musikhochschule in Mannheim, Germany with professor Robert Benz. In 2003 Joon Kim also became laureate at the ‘Concorso Internationale Pianistico Citta di Marsala’ in Italy. He participated in piano master classes by Professor Kretschmar-Fischer in 2004. In the same year, he won the first prize at the ‘Concurs Internacional de Piano D’Escaldes/Engordany Premi Pricipat d’Andorra’. As winner of this competition he performed solo concerts in Mannheim, Rimini, Andorra and Barcelona in 2005. In May 2005, was featured on live radio ‘Deutschlandradio Berlin’. In summer 2005 he attended master classesy in Murrhard with professors Yablonskaya, Pochekin and Gottlieb. 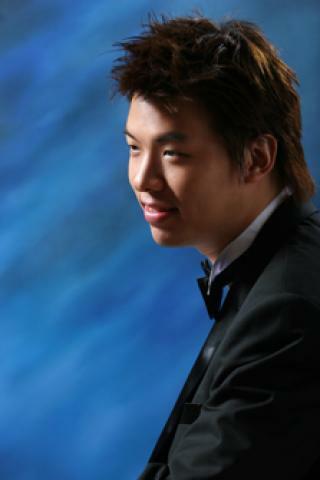 In the same year he won the second price of the international piano competition of the foundation Tomassoni in Cologne. The concert of the winners with the WDR Orchestra was broadcasted by ‘WDR Radio’. 2006 he participated in the Salzburg summer academy with professor A. Jasinski. Up to the year 2007 he continued to study at the ‘The Korean National University of Arts’ with professor Dae jin Kim and at the Musikhochschule Mannheim, Germany with professor Robert Benz. In addition Mr. Kim won with the KBS music competition in Korea. The beginning of 2008 found Joon Kim on a concert tour with the KBS orchestra in Korea. At present he has a rigorous concert calendar in Germany and will continue his studies from summer 2008 at the Hocschule für Musik, Frankfurt am Main, Germany in the “Meisterklasse” of professor Lev Natochenny.